To book or find out more about any of our courses or workshops either drop into the Club reception, call us on 020 7343 1700 or fill out our enquiry form and we'll get back to you. This eight-week course* is split into four different groups, dependant on the level of swimming experience and ability. Level 1: First group (17:30-18:15) is designed for complete beginners or those with almost no experience of swimming. Level 1: Second group (18:15-19:00) is designed for complete beginners or those with almost no experience of swimming. Level 1: Third group (19:00-19:45) is designed for those who can swim between five and ten metres. 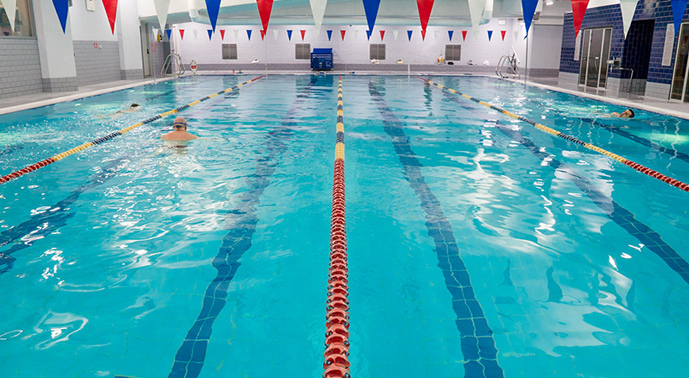 Level 2: Fourth group (20:00-20:45) is for those who can swim half a length of the pool. Level 2: Fifth group (20:45-21:30) is for those who can swim at least a length and want to learn to develop their strokes (including learning butterfly). All courses are taught in a positive atmosphere with a focus on how to swim technically well. Participants of the first group will learn water confidence and basic swimming technique. In the later groups, participants will develop skills in the four main strokes (front crawl, breaststroke, backstroke and, butterfly) as well as body position, breathing and timing. It is suitable for everyone from absolute beginners to competent swimmers who are looking to improve their technique. Tutor Martin Purcell is a former competitive swimmer with over 10 years’ coaching experience. He has coached a wide range of abilities including the University of London swimming team.